NFC Israel has teamed with printing and packaging provider Tadbik Group to launch FindMyPet, an NFC identification tag for pets. 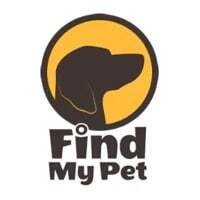 After tapping the FindMyPet tag for the first time pet owners can register their contact details then attach the tag, which also comes printed with a QR code, to their pet’s collar. Whoever finds the lost pet can then tap the tag to see the owner’s contact details while an email is automatically sent to the owner with the pet’s location. Thanks Oren — I’ve updated the link in the story.